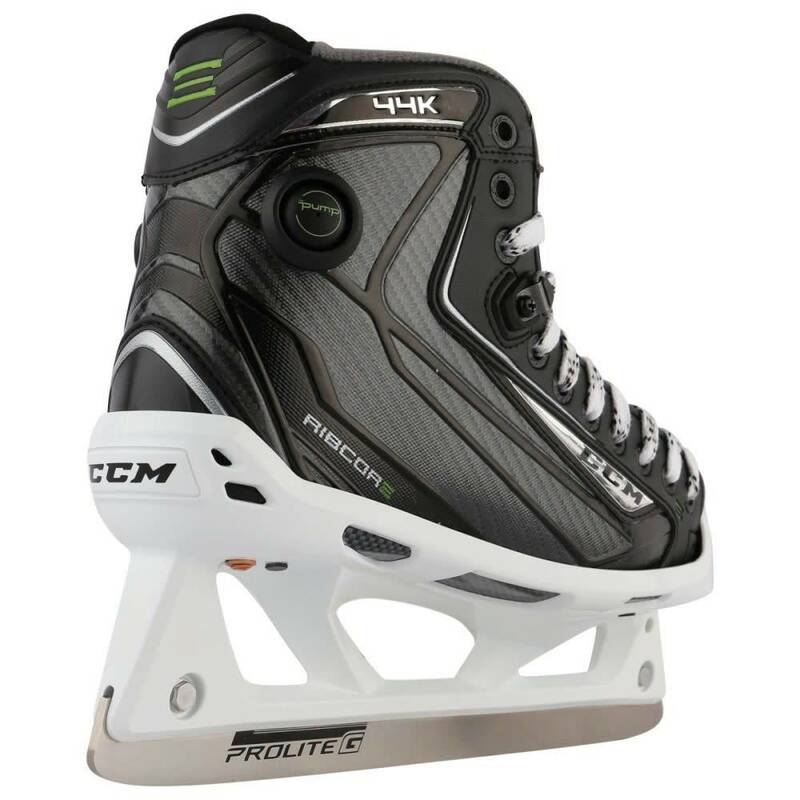 The 44K skate is centered around a medium fit boot and toe box, with a slightly wider heel to fit a larger foot. Regardless of the fit in the boot, the goalie will be able to lock their foot into the boot with the legendary pump system around the back of the Achilles and ankle. The outside quarter package is made of the “RIBCOR Flex” material which aids in flexion and mobility. The liner of the skate is packed with the Tricot material which is designed to keep the foot locked in place throughout game play. 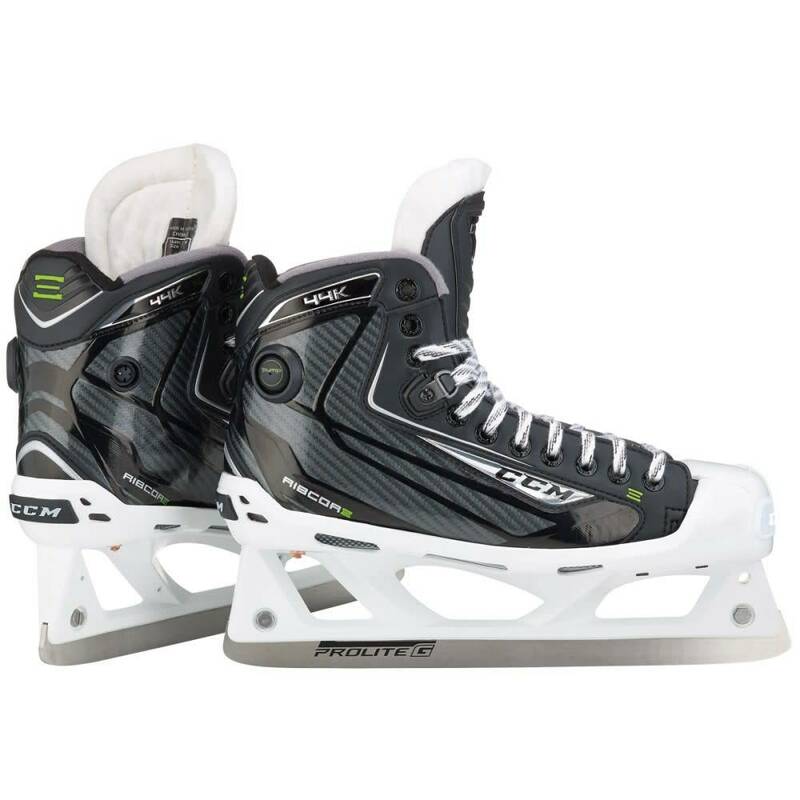 On top of the liner, the skate is heat moldable to give the goalie a custom fit and the boot features the Lace-Lock system which allows the laces to stay in place to continue the custom fit. 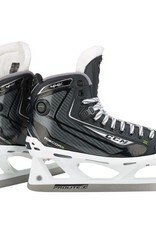 Lastly, CCM has incorporated a 2-piece High density felt tongue to reduce the risk of lace bite and keep the foot comfortable. 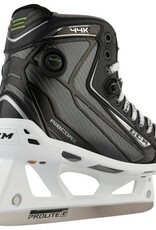 Finally, CCM has kept the increased attack angle on their cowlings by reducing the shape to a more streamlined approach. The Prolite GS cowling offers a design with fiberglass inserts best suited for goalies who want a quick response, lighter weight and superior movements.